Turn your device into a WiFi hotspot. Connect a pen drive or data cable. You can put this device in your pocket. Backup your data automatically every night. Sync with cloud and controlled by cloud. 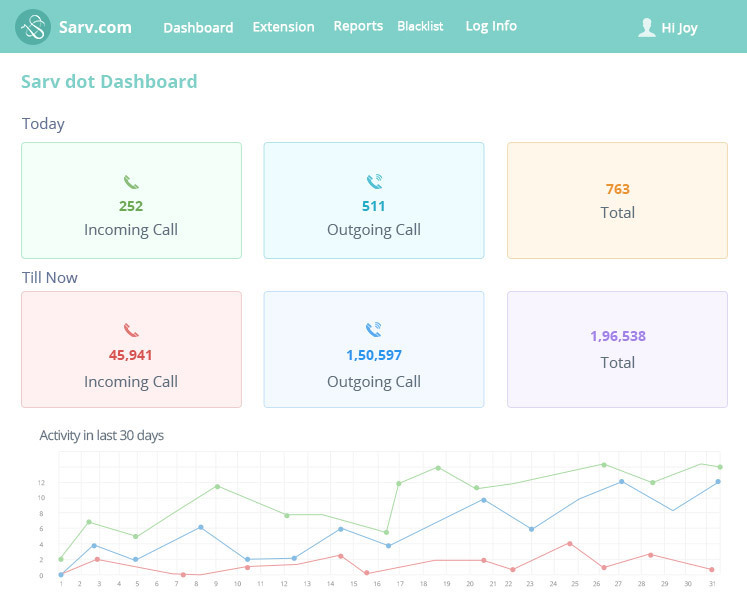 We offer a dedicated Cloud Telephony Dot device directly to your premises. It transfers all your calls to the cloud. 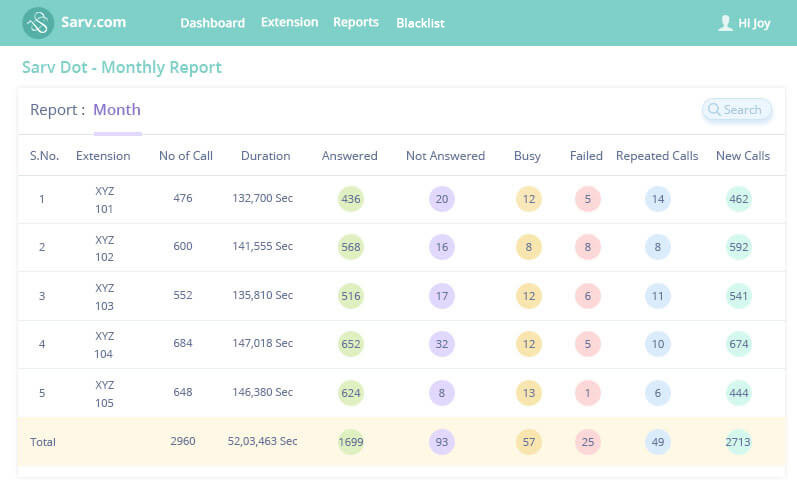 You don’t need to take the headache of connecting your calls to the Internet. 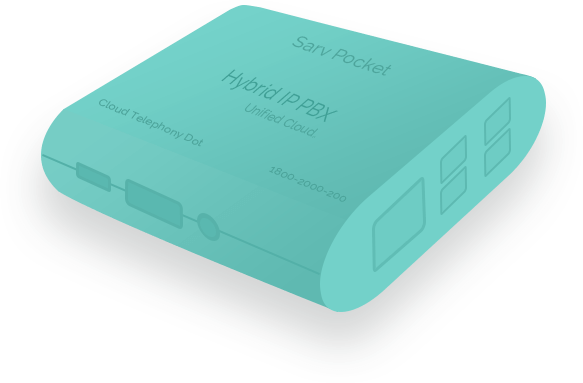 SarvDot device delivers high-speed data connectivity at low power consumption. It acts as local storage and also provides local stability. This small device sync with the cloud and controlled by cloud. Select Chan SIP in extension type. Extension number associated with the user and you can use any numeric digit. This is the name associated with this extension. This will become the Caller ID Name. 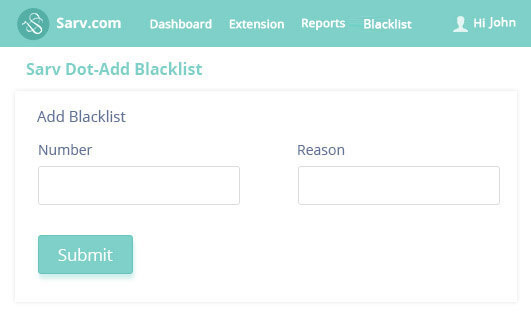 Add email address of your agent or extension. This field is optional. Password should be alphanumeric with at least 2 letters and numbers to keep it secure. 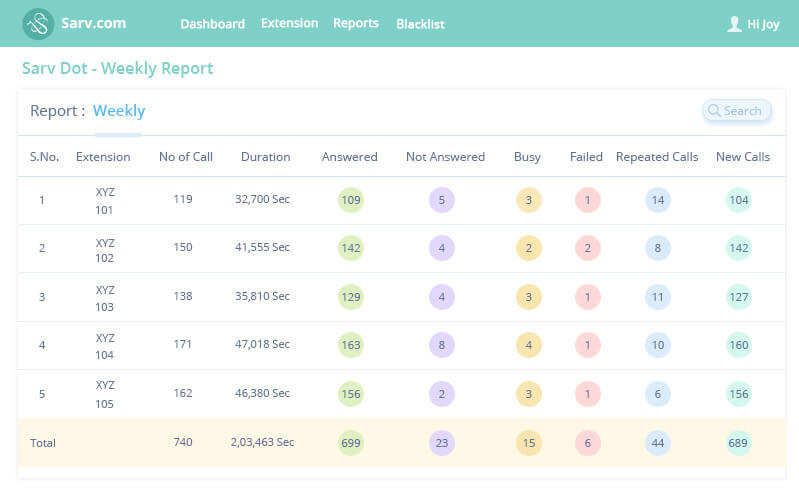 You can check the complete report of your agents or extensions. 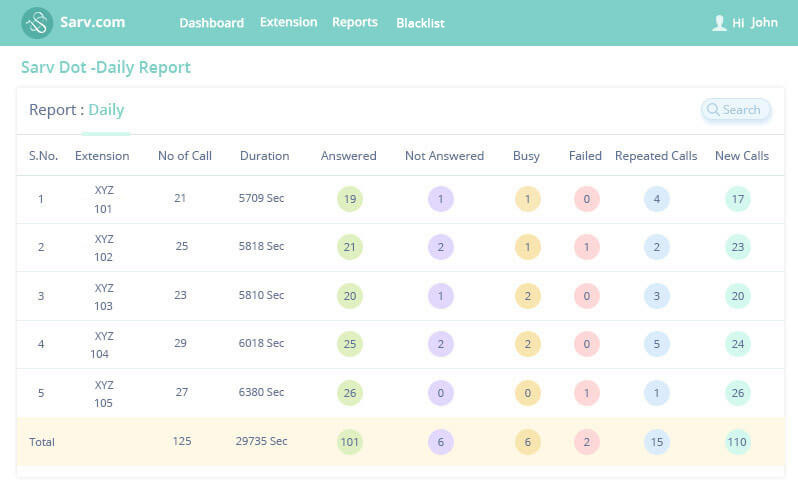 Check recording of your agents for both incoming and outgoing calls. 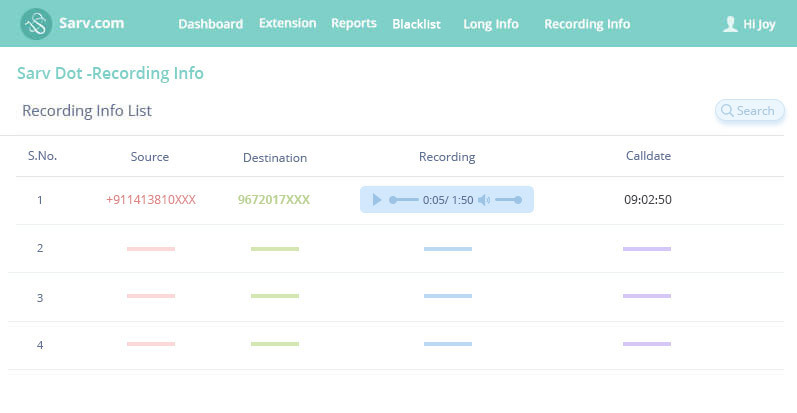 Download the recording in your local system or listen recording on server without downloading. 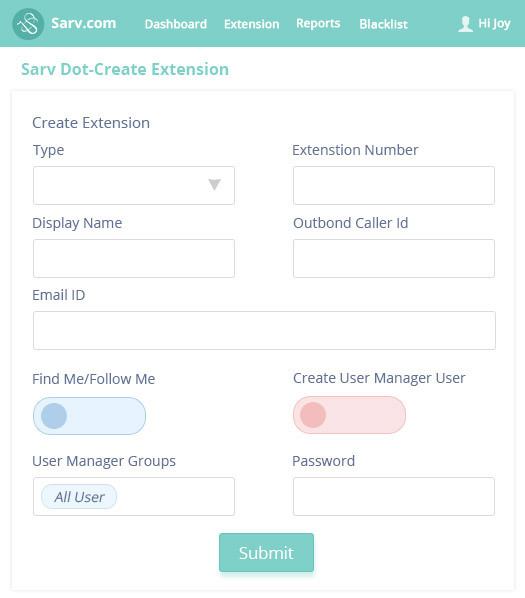 Everything is searchable in SarvDot dashboard. 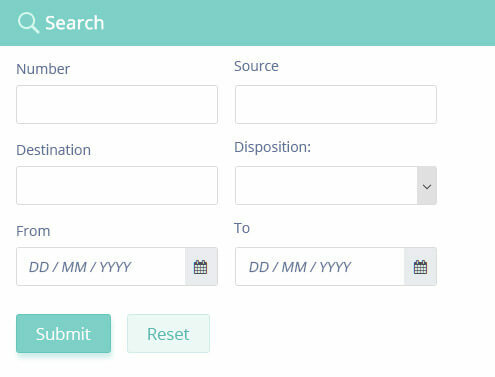 To narrow down the scope of your search, filter your report by clicking on search icon.